This Woodlice Killer Kit enables you to carry out a comprehensive woodlice treatment to one room. The combination of insecticides in the Kit delivers a rapid knockdown of woodlice and helps maintain long-lasting woodlice control. 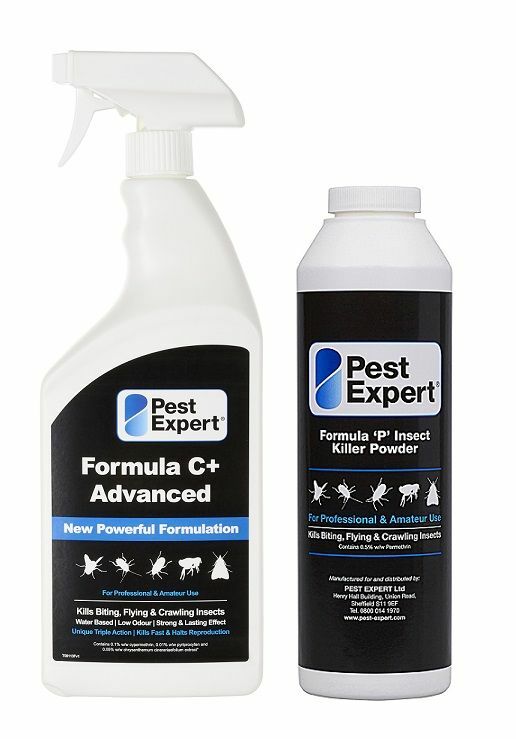 1 x Pest Expert Formula 'C+' Woodlice Spray 1L: For application to floors, kitchen surfaces or anywhere in the home or workplace for effective control of woodlice. Covers 20 sq m.
1 x Pest Expert Formula ‘P’ Woodlice Powder: For application to cracks, crevices and in areas where electrical equipment may be present and a water based spray cannot be administered. Full instructions are included with the Woodlice Treatment Kit Standard. Good & Effective. Bought one of these kits months ago, so impressed I have just bought a couple more for the outbuildings. Very pleased.